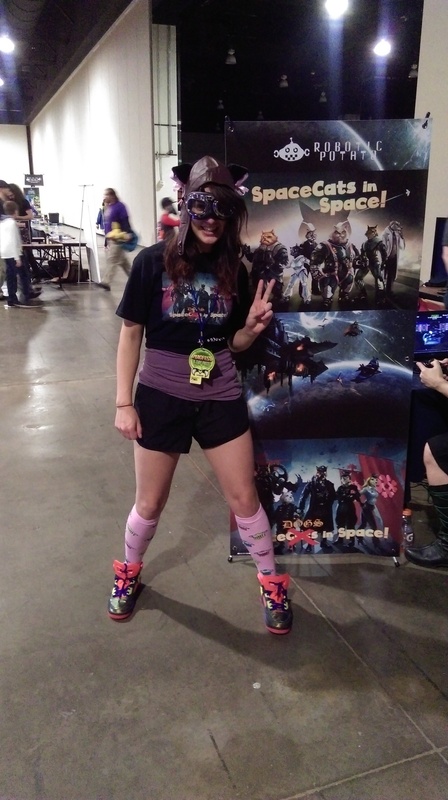 One of the best ways for Indies to gain exposure is by attending conventions. But you can’t just sit there, you need to take advantage of the format. By actually walking up and talking to your customers you can gain a distinct advantage over those using more passive approaches. 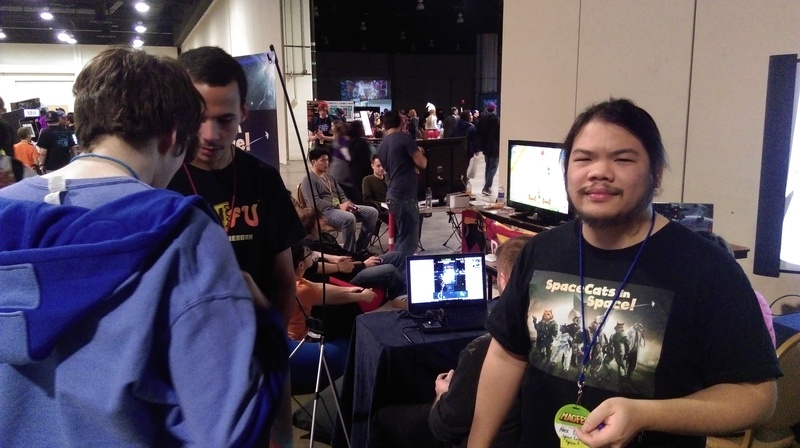 Unlike online promotion—whether through Facebook, Twitter, IndieDB, or what have you—conventions provide you with a place to actually interact with your current and future players, as well as talk shop with other developers. 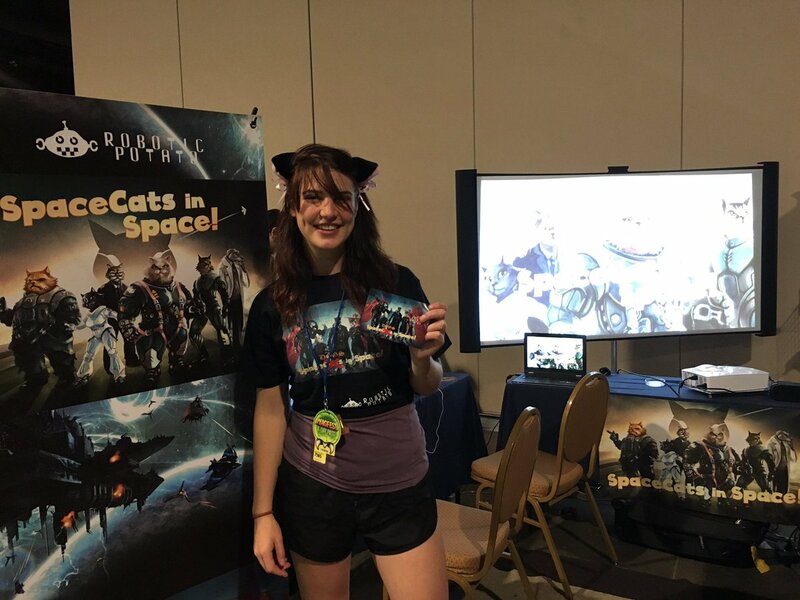 Kris Graft’s article How to Use Live Events to Promote your Game does an excellent job at discussing the benefits of attending a convention. 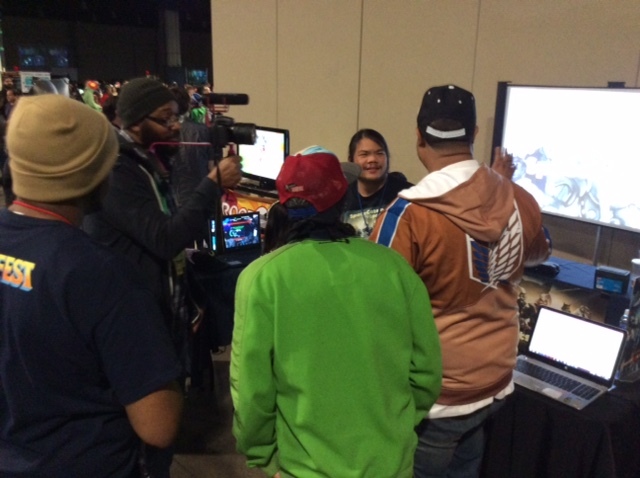 This year we had a very successful booth at Mag Fest, and increased our exposure more than we’ve ever done before. The following is a post-mortem to how we increased our subscribers by over 150 percent in just four days. A great salesman can sell anything, including bottled water next to a water fountain. As most indies are artists, programmers or other creative we rely much more heavily on the quality of the product rather than our sheer sales acumen. One of the biggest mistakes we could have made would have been to show off an unfinished project. Using resources such as r/gamedev and consultants like Xelnath (Alexander Brazie)., we tested and retested our demo. After 8 months of gathering feedback, we created a strong well-balanced set of levels that delivers a lot of action in a very short time. However, it wouldn’t have been a convention if we didn’t run into a few hiccups along the way. On the first day, people simply weren’t getting the bombing mechanics that was shown in the tutorial. In a fit of inspiration I added an entire UI layer on top of the initial bombing tutorial which seemed to solve our problem. This resulted in us not having to explain the game mechanics to the players, which of course is incredibly important for any game! Indeed, you want your game to speak for you. If your players have no clue how to play it within the first few minutes, or you have to constantly tell them what they’re supposed to do, you need to go back to the drawing board. Let’s face it, conventions are crowded. There is definitely a premium on simple, uncluttered space. When you’re among mazes of wireframe display racks and seas of bean bag chairs and monitors, there’s some comfort in stuff that’s just kind out of the way. Our booth was relatively simple: two tables laid out in an L configuration, with a single desk as an island that functioned as a stand for our cards, signup laptop and signs. We kept all of our ‘garbage’ and infrastructure equipment out of the way with handy dandy wire racks. In terms of display, we relied on an 80 inch portable projector screen and a single 6 foot tall banner. The projector screen was our main draw, and we continuously played a loop of two trailers. I mean, who can ignore an 80 inch screen! 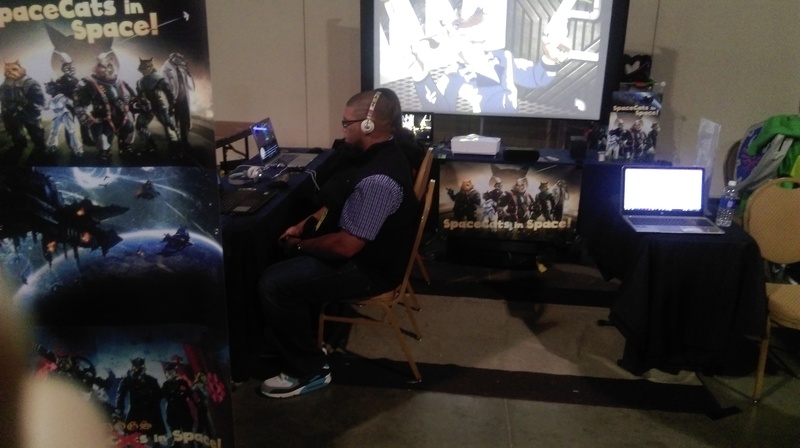 The design of our booth made it so players could come in to play, and that we stayed out of their way while they enjoyed the game. Urbain Bruno’s post about “pimping” your booth is also very helpful! 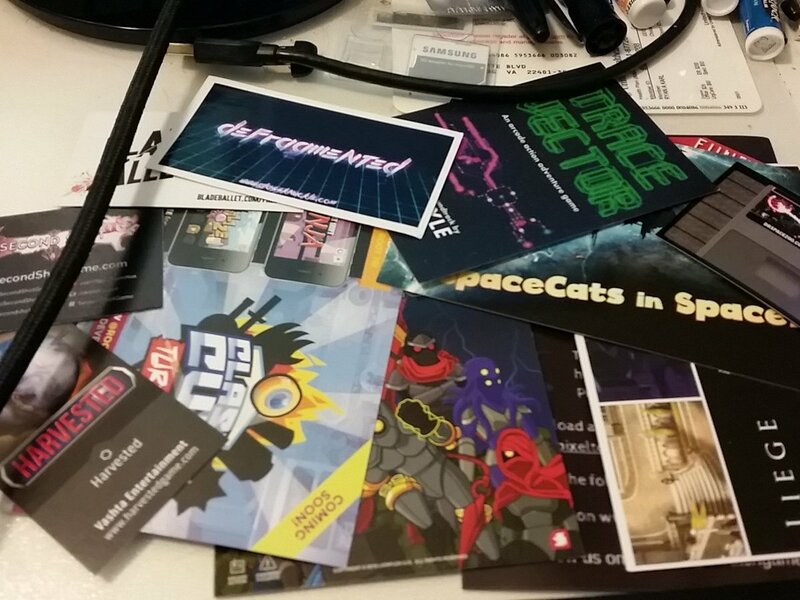 Our flyers/postcards were simple and helped open conversation: we had over 500 and didn’t see any littering the convention like some of the other games. 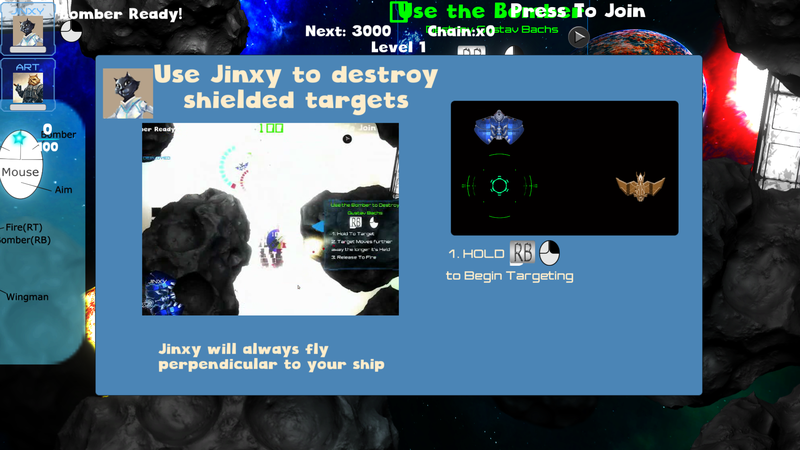 We kept it simple with concept artwork, a couple screenshots, and links to our websites. It’s vital to not overwhelm them with too much information (which we’ve done before). You definitely want them to come back to you and ask you for some information. You’d be surprised how open people are, and how much they want to know about your game. This is definitely where you can separate yourself from the pack! We don’t use pixel art and our concept art and trailers were both professionally done. Our Disney/cartoon influenced style helped us really stand out. Our artist Kim Van Deun is a very, very strong illustrator with a strong grasp of anatomy and color. The art speaks for itself. 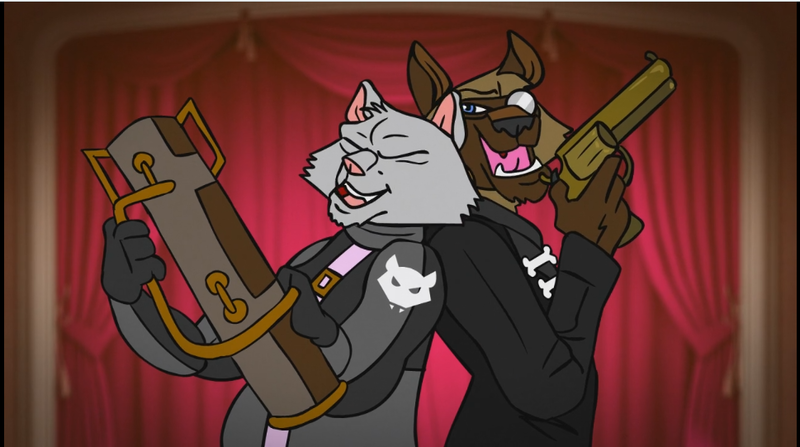 Meanwhile our animator Rachel Lewis supplied us with a simply delightful trailer that’s silly and captures the levity and humor of Space Cats In Space. That animation took over 4 months from conception to finish. The music for the trailers was done by ASCAP composer Alex Britten, who we paid a hefty sum for his time and the quality shows. We had a Saturday Morning cartoon theme in the first trailer and a Broadway style tune on the second. Both trailers showed off gameplay and really brought out the characters in the game. With all these aspects of art working together, we were able to really stand out. Remember, there are hundreds of thousands of indie games. People need eye-candy. So use this opportunity to really stand out and capture your audiences’ attention. Keep it simple, stupid. There’s no need to be pretentious about your product. 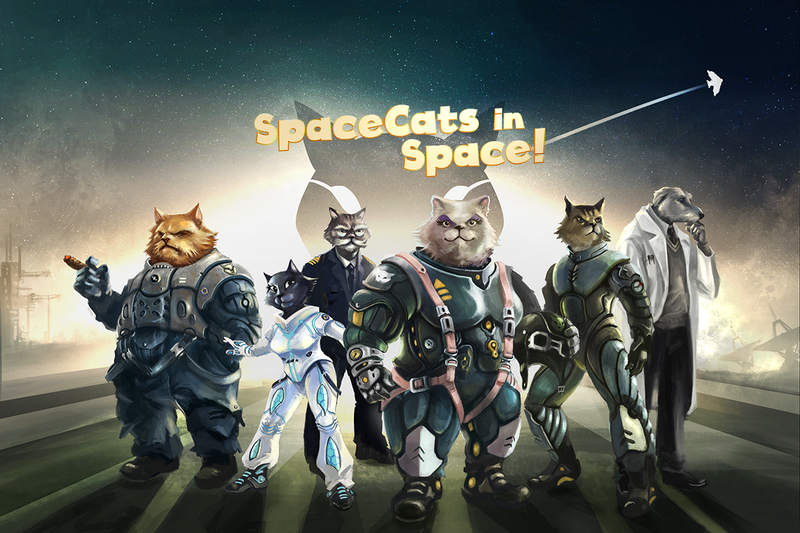 If they didn’t hear it, I would say it again more loudly and assertively SpaceCats…In Space! 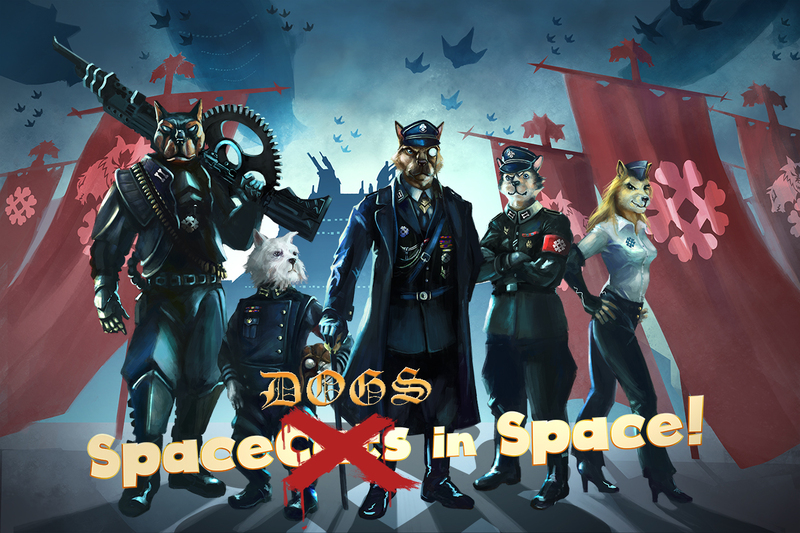 It’s a cartoon twinstick shooter about SpaceCats shooting SpaceDogs in space. And that’s it. I’d point at the projector if they wanted more information, or at the game if they wanted to play. If there were people in the seats, I’d ask if they’d want to sign up with the email and I’d send them a demo. That was the most effective part- if there was a line to our game, people would rather sign up for the mailing list than wait. We got 10 people to sign up at once this way. I did this over and over and over again, approaching everyone who passed by our booth, and handing them our cards. Rachel Lewis was also at our booth and used this approach, although she took the time to talk with each customer if they were hesitant. So we did sort of a double-team approach, I would be a shotgun and capture everyone who passed by, while she worked on individuals. It was an incredibly effective approach. With this method we ran out of postcards by Friday, and business cards by Sunday. I had 500 postcards and 500 business cards printed. Anyone can use this type of approach, it’s Sales 101. In a real retail environment, competing with other salesmen, it wouldn’t work. As an indie game maker though, your product is unique. A little bit of basic technique can go a LONG way. Just walking up and delivering a short sales pitch is something anyone can learn within a few minutes. It’s far more effective than sitting and waiting. Don’t make the mistake that thinking because it’s simple it’s easy. You’re going to face a LOT of rejection and if you’re not used to it the psychological toll can be heavy. Boiling down your game to a sentence or two isn’t easy either. You will need to spend a lot of time perfecting and experimenting with the right pitch until you find something that is repeatable and successful. We also received a lot of advice from marketing/tax guru Rachel Presser, at Sonic Toad who helped us fine tune our approach to selling to sometimes gunshy gamers. They say that it takes 7 impressions for people to remember your game, and people have definitely come to us saying they'd played the game before and loved the improvements we made. Showing your game at smaller events also gives you the chance to refine and experiment with you pitch, as well as your game. I had done many events before. My objective was the same as all other times; collect emails. As our game isn’t out yet, we couldn’t make any sales, so that was the most difficult thing to ‘obtain’ from customers. The common indie game wisdom is that emails have a 30% conversion rate and account for the majority of your support in crowdfunding and community. I have found that to be generally true. However, because we had a clear objective, we didn’t spend too much time with any one customer and our pitches were practiced and consistent. We also had clear motivations and a success goal as our signature count kept going up and up. It also helps with morale as well, as the team has an objective and succeeding is incredibly good. On Thursday we had already gotten 90 signatures, and that really helped keep our energy levels up for the next 3 days, which were simply epic in terms of people. 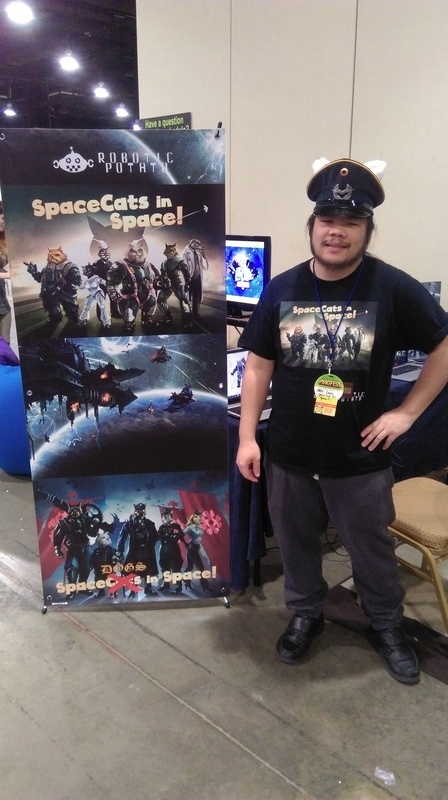 Perhaps the most exciting and invigorating aspect of this year’s Mag Fest—besides increasing our subscribers by 150%--was the fact that people we’ve seen at other conventions came by our booth again to express their interest. Indeed, conventions are draining and stressful, and you often forget why you’re there. This really helped to lift our spirits! Lastly, remember this is your chance to engage with current fans and gain news ones!